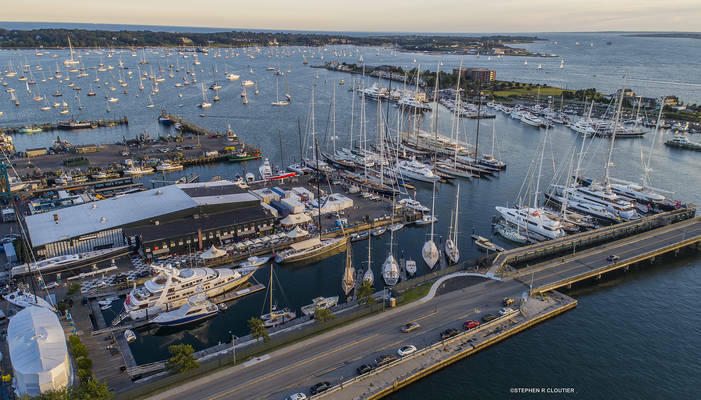 As a yachting destination, Newport is hard to beat. 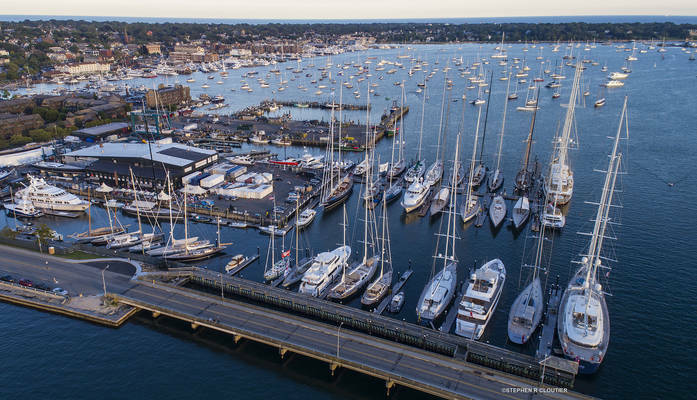 The beautiful harbor, lively regatta circuit, charming town life and central location ensure that "America's sailing capital" lives up to its billing every summer. 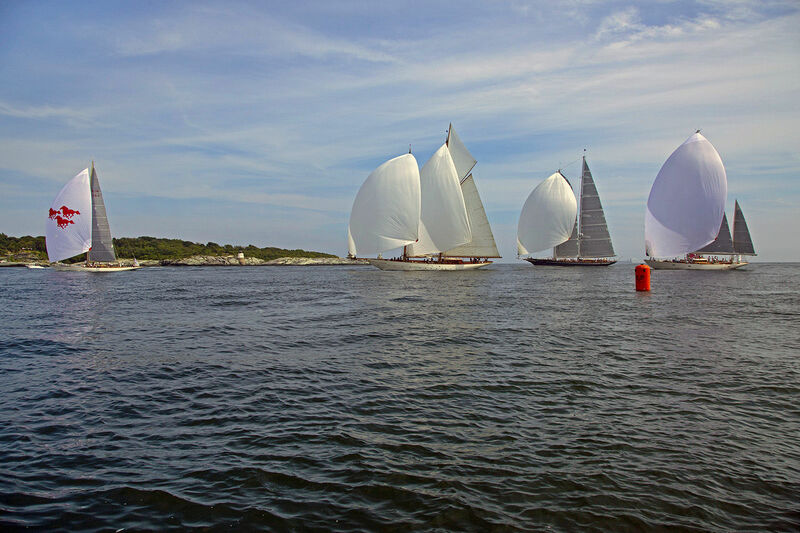 At the center of the action is Newport Shipyard. With the biggest lifts, cleanest facilities, and the most dock space in town - as well as a full-service yard, ship store, restaurant and fitness center all right on the harbor front - Newport Shipyard has become New England's yachting hub, attracting the best boats on the East Coast. We are located at 41˚29.4 N and 71˚19.4' W. You will enter Newport Harbor in an easterly direction with Fort Adams on your starboard side and Goat Island off your port. Continue heading north through the mooring field until you see the Goat Island bridge. The State Fishing Pier will be off your starboard side and the Goat Island Fuel dock will be off your port as you approach Newport Shipyard. After passing the Goat Island Fuel Dock and the Fishing Pier our ‘T Head’ will be off your bow. We encourage you to hail us on VHF Channel 09 once you enter the harbor for further instructions and assistant getting on the dock. Not enough can be said about the hard work that every member of the NSY Team puts into making the Shipyard the yachting hub it is today. Great facilities, world class service department and ship store, great environment for families and crew, Belle's Cafe has great food, and the close location to Downtown and Broadway makes this place a must go, by land or by sea! Outstanding! Excellent facilities. Staff was very professional, courteous and friendly. 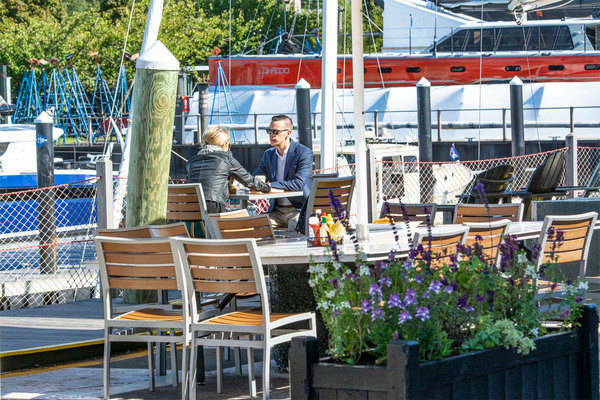 Would definitely choose Newport Shipyard on a return trip to Newport! We always enjoy our visits to Newport Shipyard. Great management team, great dock team, great service, great location.